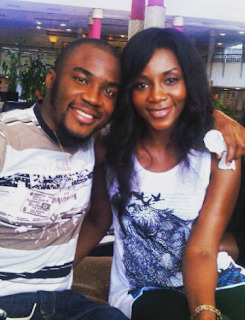 Nollywood star actor, Bobby Obodo took to his IG page to share this throwback photo with beautiful actress, Genevieve Nnaji. "Hehehe! Throw back of life, with 'Genny from tha block' @genevievennaji #WeekendGetaway #Uyo #DugIntoMyArchives #HavePositiveDayFam #TBT"